It’s been an exciting year for our Prom Dreams Ministry! This was our fourth year, and God continues to bless young people, families, and each person involved. We collect gently used formals and suits which are loaned out to students who would not be able to attend their high school prom due to finances or whatever reason. People in the community have been very generous, and our church now has approximately five hundred dresses in our closet. I am constantly picking up donations, taking dresses to be cleaned, or hauling dresses home to be repaired. The young daughter of a friend asked her mother if I sell dresses out of my car. I was puzzled by this at first, but then I realized that every time she sees me I have a car full of dresses! When we began this ministry, we had only two weeks before prom. During that short time, people donated 88 dresses and some suits. We served 16 students that first year and shared God’s love by simply making it possible for them to attend prom. No matter how large or small the size needed, God had provided the dress or the suit to fit each student! This year we had a young lady come the day before prom. She tried every plus size dress hanging on our racks and none fit. We posted of the need in our Facebook group, and people started delivering dresses. It was absolutely heart breaking to see the disappointment on this young lady’s face with each dress she tried on. I found myself doubting that we would find a dress to fit. That evening my sweet mother got involved, and we soon found ourselves shopping for material to make a dress! We were up most of the night after getting a late start. She sewed, and I did anything I could to help. In the wee hours, I left with a dress that we prayed would be the perfect fit. The next morning, I pressed and completed a few finishing touches. My mother went shopping and found a new formal on clearance for fifteen dollars! 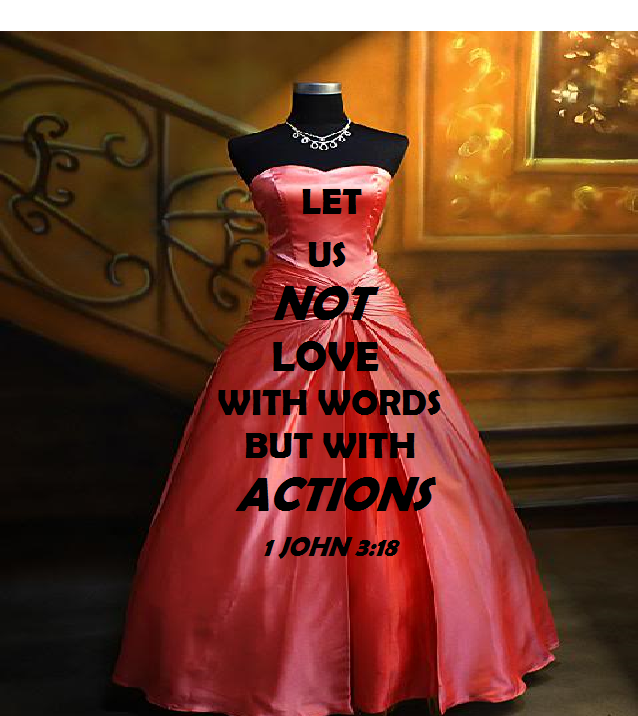 When we met the girl a few hours before prom, we were unsure if either dress would fit, but once again God provided! This young lady was not forced to take the only dress that fit, but she had choices. The smile on her face was the most precious smile I have seen. Her low self-esteem was replaced at least momentarily by a feeling of joy! This year we served twenty-nine students. There have been many special moments like the one described above. Each time I am reminded of God’s power and His amazing love for every person regardless of size, beauty, riches, color, or personality. I also consider how reluctant I was to obey when God led me to begin this ministry, how many students may have missed the joy of feeling beautiful on a special night, and how those who volunteer and have donated would have missed the blessing of serving others through this ministry. 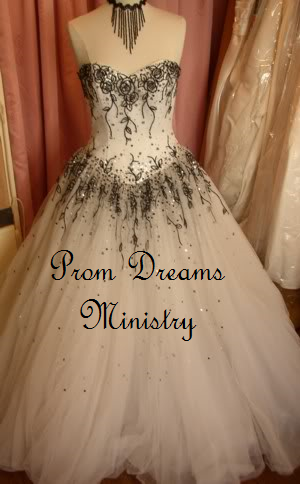 If you would like to know more about the Prom Dreams Ministry, click here. Thank you for your work in Prom Dreams Tresa. Every girl should have the opportunity to go to prom looking like a Princess. Thanks to you for helping when you can, Mischelle!